Cyber Blue started the day by finishing the remaining qualification matches. 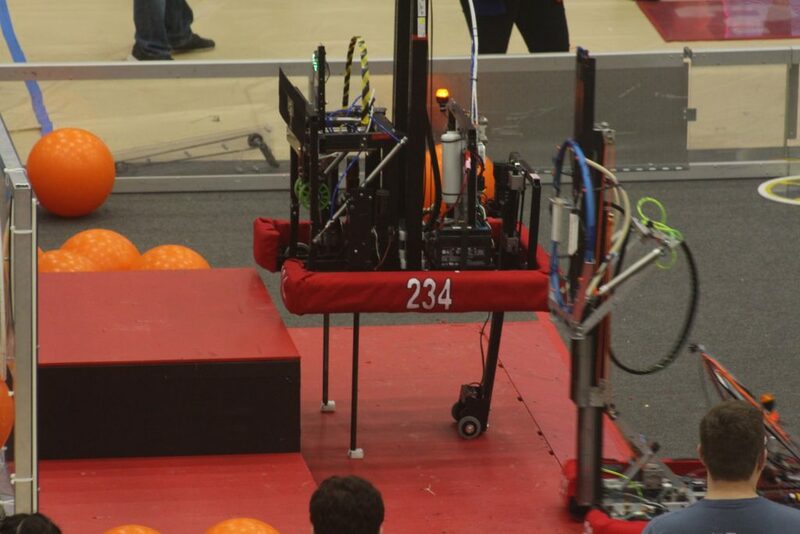 We were able to do well in these matches, improving our overall ranking. We ended qualification matches with an overall record of 9-3-0 and ranked 4th. Entering alliance selections, Cyber Blue was ranked 4th overall, which guaranteed us to pick teammates. However, after the first-seed team picked the second-seed team, we were able to pick for the third-seed alliance. 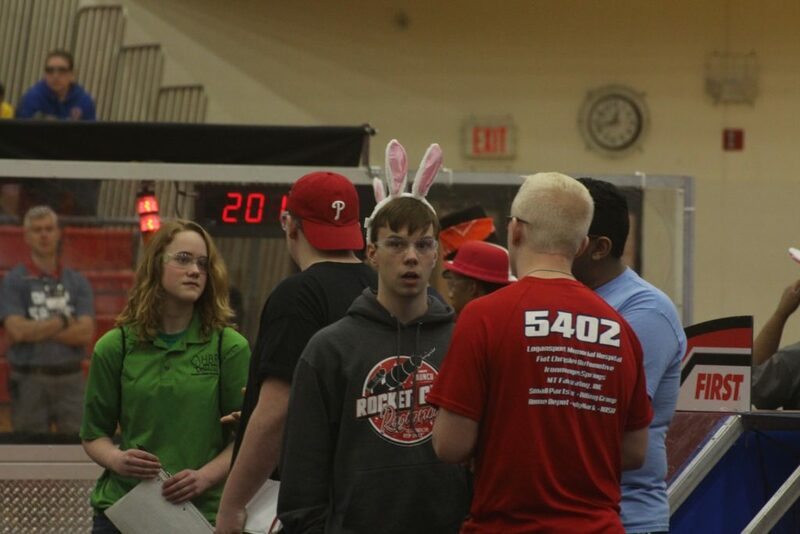 After alliance selections were completed, our third-seed alliance consisted of teams 1501, 5402, and ourselves. Our first round of elimination matches was between ourselves and the 6th seed alliance, consisting of teams 3176, 4926, and 3559. After a hard-fought series, we unfortunately lost the series 1-2. *Tiebreaker was decided by cargo scored during the match according to official rules, resulting in the loss. Overall, Cyber Blue ended with a record of 9-3-0 and ranked 4th. 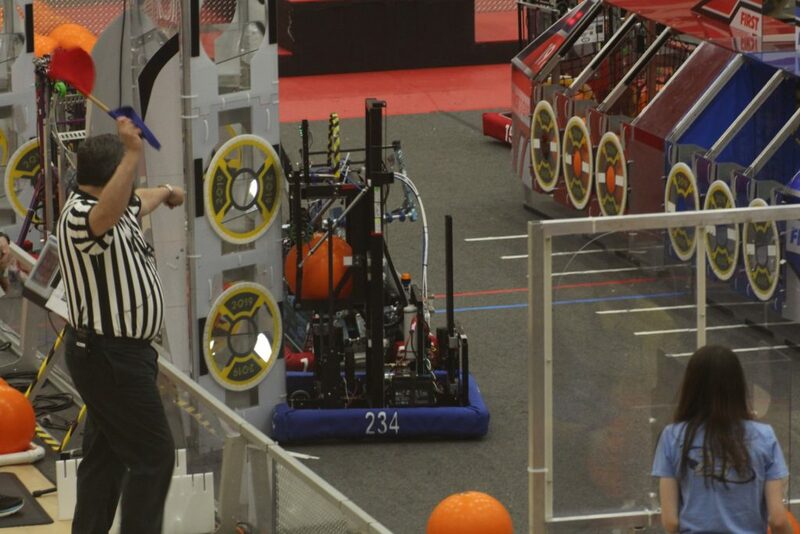 In elimination matches, we were only able to make it to quarterfinal. We are ready to compete at the Indiana state championship and later at the world championships in Detroit. However, Cyber Blue also won the District Chairman’s Award, an award we have not won for four years. Lots of hard work went into winning this award, and we are all excited to compete for the Chairman’s Award at the Indiana State Championship. 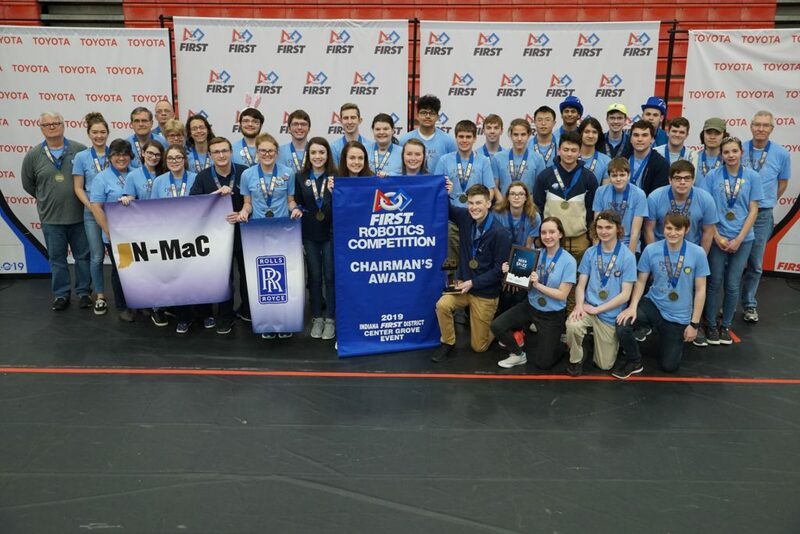 Cyber Blue Wins District Chairman’s Award!